As Peterman remembers it, when the taping ended, he joined O’Hurley at the actor’s house for dinner. 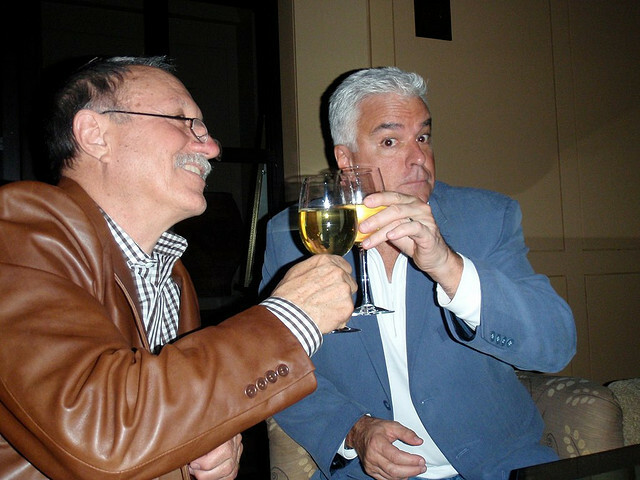 As the two public faces of J. Peterman stood in the backyard at the firepit, overlooking the San Fernando Valley, Peterman and O’Hurley discussed the massive public failure that had befallen the clothing company in the three years since Seinfeld ended. Peterman began drafting plans to launch a new Internet venture using the name “John Peterman,” which was still legally his. But Paul Harris Co. itself went bankrupt a year later, and Peterman now had the chance to buy his own company back—if he got enough investors. Thanks to O’Hurley’s investment, Peterman continued to sell huaraches, paille-maille dresses, and the like. (“Soft leather Mexican huaraches comforting your delicate feet through Japan’s greatest garden on a sun-drenched breezy afternoon. Glorious.”) He kept things simpler this time: catalog and online only, sales of about $20 million.